As coaches, many of us wish we had more practices to help our team better perform in games. We can’t get you more practice time, but we can help you figure out how to make your practices more efficient. 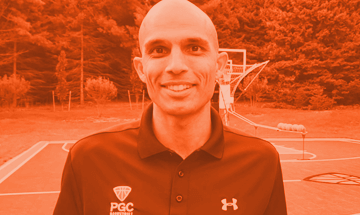 PGC Director, Chad Songy, shares how he helps coaches measure and improve coaching efficiency, so your players get more reps and stand a better chance of forming habits that show up in games. Most research shows at least 55% of learning takes place when performing the physical activity (kinesthetic learning) rather than listening to instructions or watching demonstrations. Something as simple as shaving two seconds from the average transition time between reps could increase kinesthetic learning time by 25%. You might not need more practice time; you might just need to run your practices more efficiently.